Overview. You can’t go wrong when it comes to the Canon iR-ADV C3330 Printer. This printer, scanner and copier, which is mainly aimed at small – medium sized offices, has no problem taking on large print jobs, printing the high quality documents and photographs you expect. The Canon iR-ADV C3330 Printer will never fail to exceed your expectations. Apart from the weight of the machine, this printer has no faults. Benefits. One huge benefit of the Canon iR-ADV C3330 Printer is the startup time and the print time. With the incredibly fast startup and printing times, there’s no waiting around when it comes to this printer. What’s really impressive about this printer is that despite the extremely quick printing time, the quality is not compromised. This printer will consistently produce the outstanding quality documents and photographs you have been searching for. Experience true hassle-free printing with the Canon iR-ADV C3330 Printer. 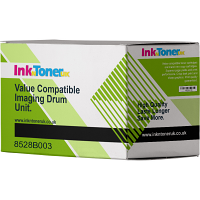 This printer also takes high yield toners, making sure your printing experience runs as smoothly as possible. Limitations. There really isn’t much to complain about when it comes to the Canon iR-ADV C3330 Printer. One small disadvantage of this printer is the weight. It’s heavy weight may limit some users but when it comes to heavy duty printers, it’s expected for them to be on the heavy side.